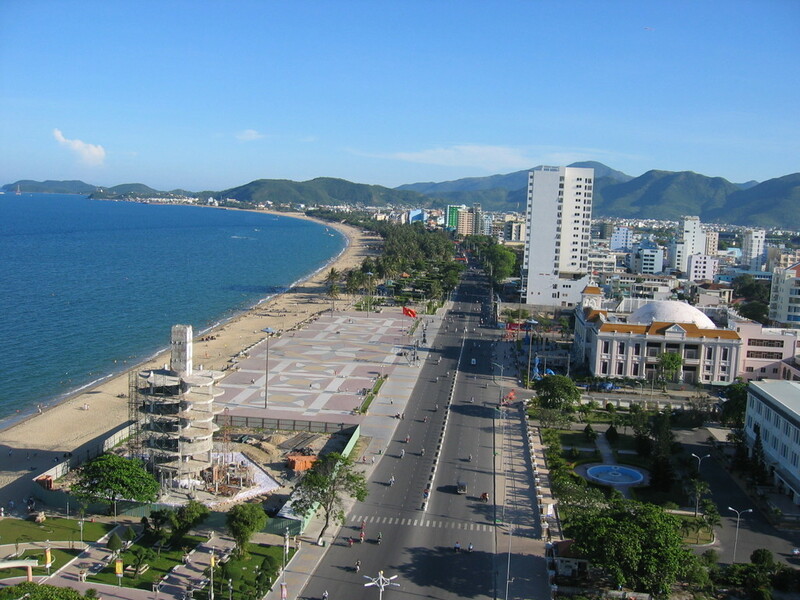 Nha Trang is a most-beautiful tourist destination in Vietnam. This seaside town has a beautiful view of the beach and surrounded by the same white sand. You can enjoy a vacation in this beach from morning to night tables for the entertainment provided at the beach is never stop. In the daytime, you can enjoy a vacation underwater and in the evening you can enjoy a 3D movie or theater that was shown there. Cu Chi Tunnels is a tourist spot in Vietnam, located in the city of Saigon. Cu Chi Tunnels is a tunnel made during the war between Vietnam and the United States. The tunnel is deliberately narrow so that only the small Vietnamese who can enter it. 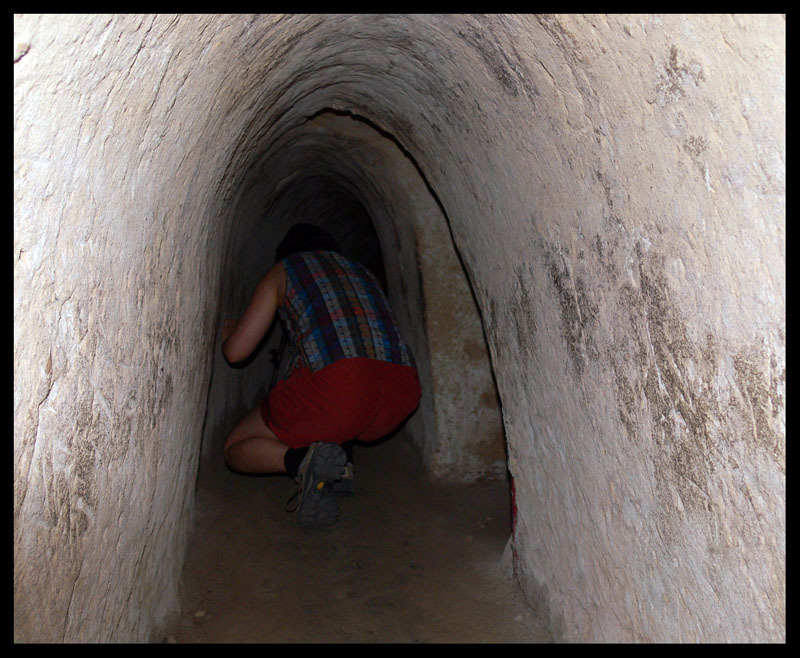 Cu Chi Tunnels is a militant defence of Vietnam at that time. The Cu Chi Tunnels now become a famous tourist spot in Vietnam. Each visitor will be invited to crawl into the tunnel is. Unfortunately, The ones with big body cannot enter the tunnel. 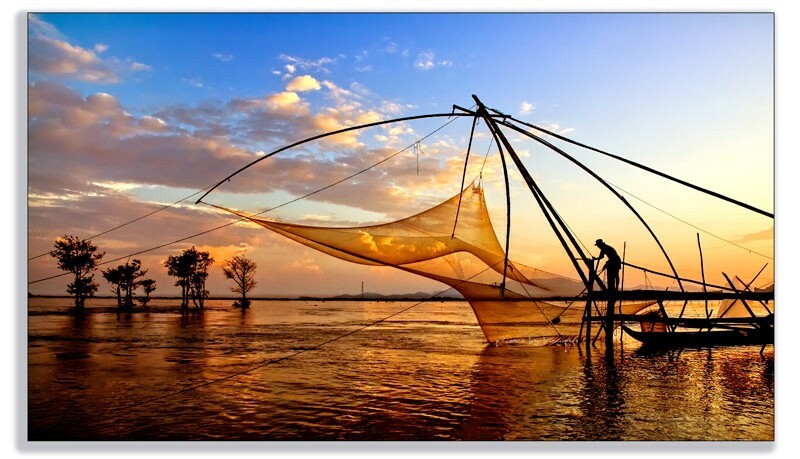 The Mekong River is a tourist spot in Vietnam in the form of water tourism. Mekong River or the Mekong Delta in Vietnam has a brownish color because it contains a lot of mud. 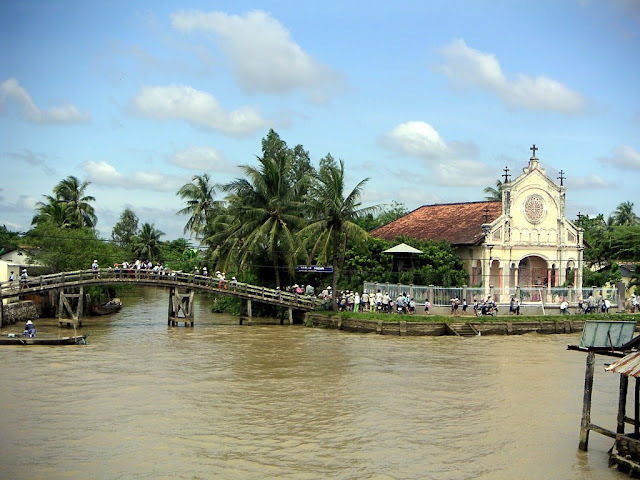 From the Mekong Island you can visit some islands around the Mekong Delta, including the Phoenix Island, Dragon Island, Unicorn Island and Turtle Island. 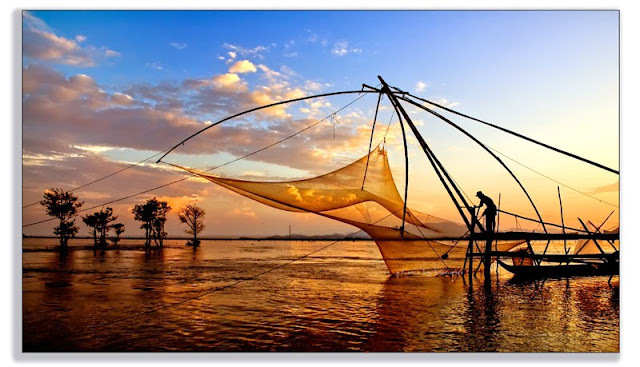 At the time of night, you can walk along the Mekong River by ferry and enjoy Vietnamese delicacies accompanied by traditional dance performances. 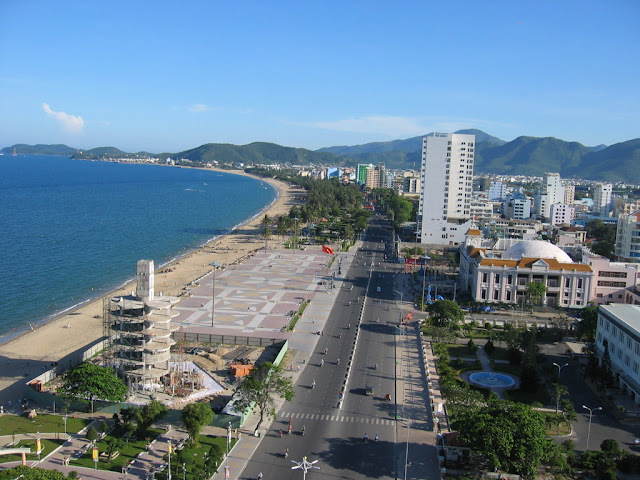 Phu Quoc is a large island that serve as tourist attractions in Vietnam. The island still has the pristine and natural tropical rainforest. On this island you can enjoy a vacation together with a variety of water sports. 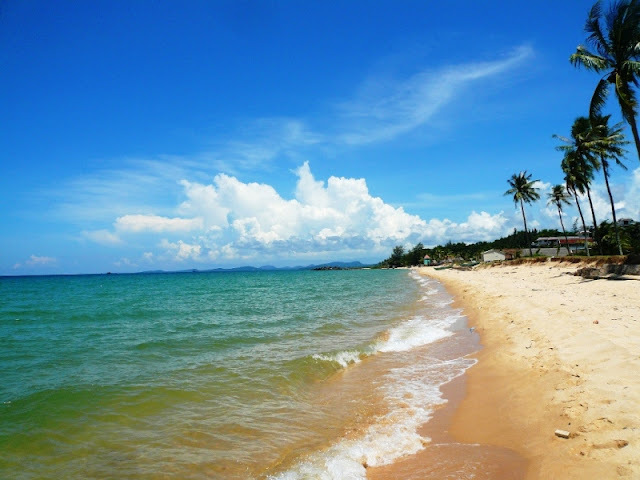 One of the beaches in Phu Quoc named Bai Dai or Long Beach is one of the most beautiful and cleanest beaches. Phu Quoc is also well known as a producer of fermented fish sauce or the world's most popular nuoc mam, it's very cool! Halong Bay is a tourist spot in Vietnam most visited by the traveler. These attractions are beaches dotted by islands such as big rocks, covered with a fairly dense forest. If you visit there you can enjoy the amazing scenery. Surrounding the bay nicknamed dragon bay and visit Thien Cung cave that will bring the most amazing scenery. 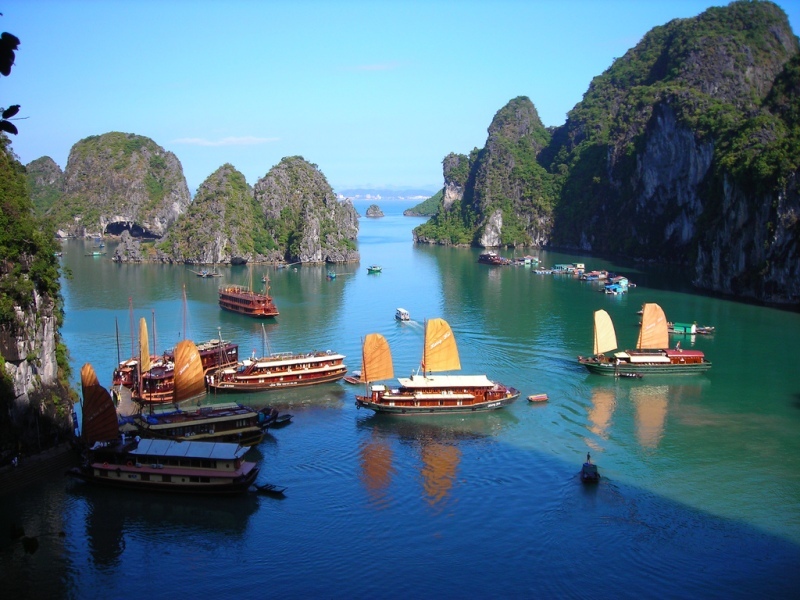 Halong bay is the popular place to visit when travel to Vietnam. 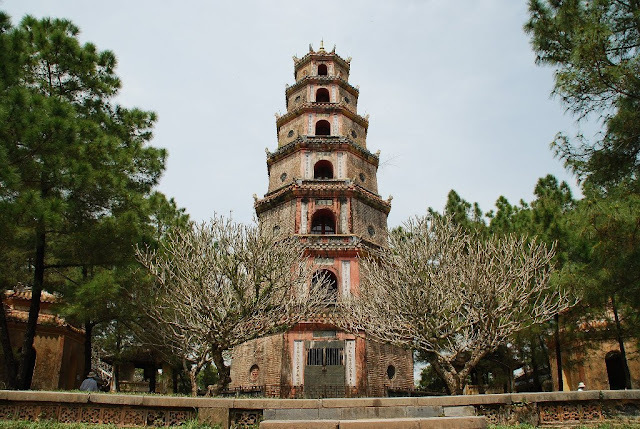 Thien Mu Pagoda in Hue is a highest pagoda in Vietnam. This pagoda overlooks the Perfume River and is considered the unofficial symbol from the former imperial capital. The temple was built in 1601 during the reign of Nguy?n Lords. At the beginning, the construction is very simple, but as time goes on it was restored and expanded with a variety of more complicated features. Hoan Kiem Lake is one of the main beautiful place in the city and serves as a favorite recreation area for the locals. 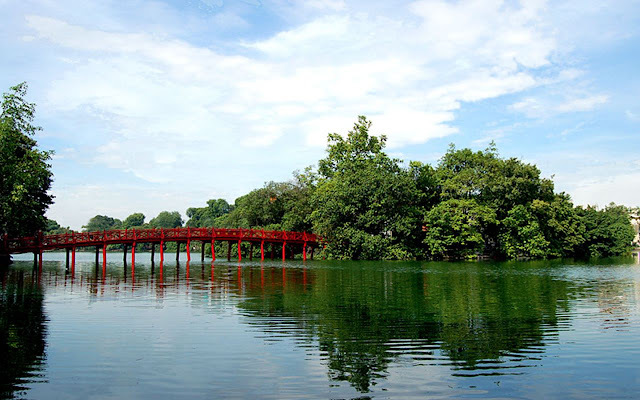 Hoan Kiem means "sword back", and the name is derived from a legend in which King Le Loi was given a magical sword by the gods, which he used to repel the attackers from China. 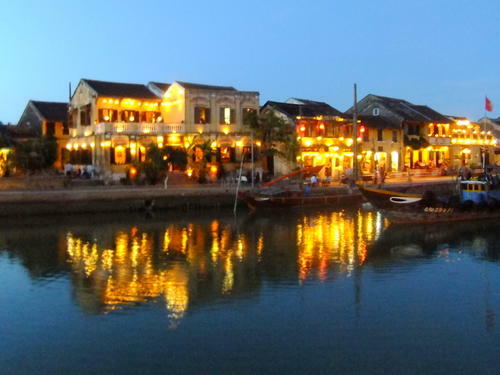 Hoi An has become an international port of the 16th century despite the shipping business had moved to the city of Da Nang. The heart is still in the Old Town, full of winding lanes and Chinese-style shops. Sometimes also called the "Venice of Vietnam" because of a narrow channel that divides part of the city. when travel to Vietnam, Hoi An is a good place to visit. This area is very rich and fertile, covered with rice paddies, which produce about half of the total agricultural output of Vietnam. Furthermore, a lot of life in the Mekong Delta revolves around the river, and all the villages are often accessed by river than by road. 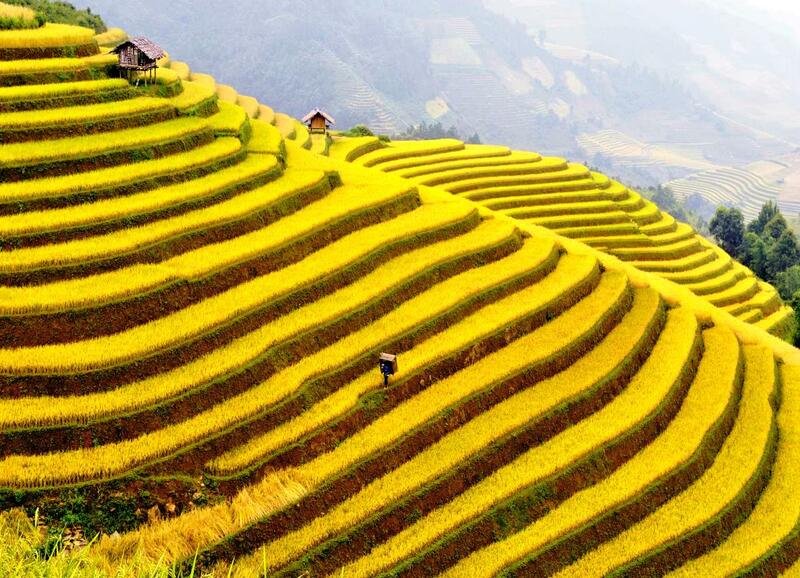 Sa Pa Terraces is a city located in northwest Vietnam, not far from the Chinese border. You can find rice field in the valley of Muong Hoa between Sa Pa town and Mount Fansipan, with thick bamboo forest background. The local mountain communities, Hmong, Giay, Dao, Tay and Giay are the farmers who are growing rice and corn on the porch along with vegetables.